Business Secretary Vince Cable has proposed making fraudulent or negligent directors of UK companies personally liable for the firm's debts as part of an overhaul of company rules. He also said that directors deemed to be reckless should be disqualified from being able to work at another firm. Mr Cable also wants to allow individual regulators to disqualify directors in their particular industries. His proposals follow concerns over the toughness of corporate oversight. A series of banking scandals, such as Libor and the mis-selling of PPI, as well as huge state bailouts in the wake of the financial crisis, have dented public confidence. Mr Cable said: "We're proposing tough measures to beef up the system for holding directors to account if they don't play by the rules or take their responsibilities seriously. This will mean honest, hard-working directors are not disadvantaged and will give the public greater confidence that irresponsible directors will face consequences for their actions." Following the Parliamentary Commission on Banking Standards' recommendation that directors of banks should have a "primary responsibility" to ensure the safety and stability of their firms, the Department for Business, Innovation and Skills wants to consult on amending the statutory duties of directors in key sectors such as banking. It also wants courts to be able to consider "additional factors" in director disqualification proceedings, such as the nature and number of previous company failures in which a director has been involved. This comes in the wake of high-profile corporate failures, such as the Royal Bank of Scotland and Lloyds, which both had to be bailed out by the taxpayer. Fred Goodwin, the former chief executive of Royal Bank of Scotland, was stripped of his knighthood in 2012 after leading the bank to near-collapse in 2008 and a subsequent multi-billion-pound government bailout. At the height of the financial crisis, Lloyds took over the collapsed HBOS, the group that owned Halifax and Bank of Scotland. But the government ended up with a stake of about 40% in the new Lloyds Banking Group. Former HBOS chief executive James Crosby voluntarily gave up knighthood and resigned as a non-executive director of Compass Group. There was concern that there was no way to prevent directors of failed banks or key institutions serving as company directors after the collapse of their institution. The BIS-run Insolvency Service can bar people from working as directors for a maximum of 15 years. The BIS will now look at allowing the City regulator, the Financial Conduct Authority, to ban directors of failed firms from working at any other company. Mr Cable also proposed extending the time limit for bringing disqualification proceedings in insolvent company cases to five years from two. He also wants to prevent an individual banned from running companies outside the UK from being a director of a UK company. Business groups welcomed the consultation but expressed concern that the measures could go too far. Simon Walker, Director General of the Institute of Directors, said: "Businesses can and do fail. But this experience should not necessarily spell personal financial disaster for a director, or prevent a director from trying again." Responding to the proposals, shadow business secretary, Chuka Umunna said: "Since the Tory-led government came to office the number of actions taken against suspected fraudulent or reckless directors has fallen at the same time as the number of incidences of suspected fraud has increased." 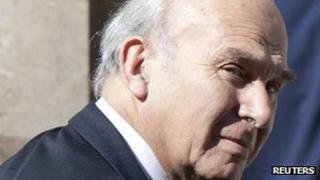 Mr Cable also proposed measures to make it clearer who owns and controls corporations. He said companies should supply more information on owners and controlling shareholders. That would include ending so-called "bearer shares" which allow ownership of a company, but do not identify who owns those shares.